No. 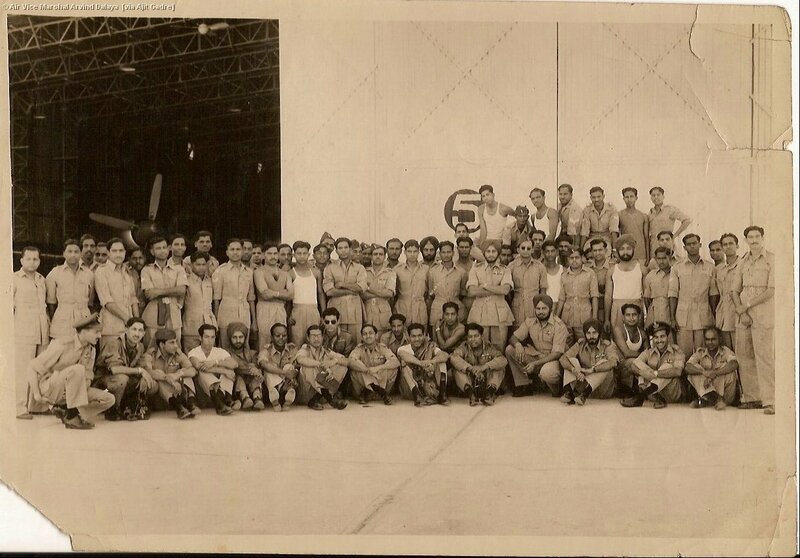 3 (Tempest) Squadron Ambala 1952. Seated: F/O “Kay” Singh, self, P/O Bhandari (later killed in a Tempest crash in Amritsar, his home town), airman, airman, F/O “Spike” Gaikwad, Eng Ofc, F/O Derek Watts (killed in an air crash at Begumpet Air Force Academy), F/O “Pup” Karve, airman, F/O “Joe” Acharya, airman, Flt Lt “Livvy” Mathur, Flt Lt “Sukhi” Singh, P/O Ghura, airman, F/O “Chakroo” Nizamuddin, F/O Mangat. Standing right of center is Flt Lt “SuSu” Singh, the officiating OC.